In the year 1245, the Franciscan monk Giovanni de Pian del Carpine is assigned to a diplomatic mission in the Orient, at the edge of the known world. His mission is to investigate the origins of a mysterious people, the Tartars, whose armies have begun to violently approach the borders of the Christian world. The voyage will take Giovanni through strange adventures and unusual and inexplicable events until he discovers a baffling and enigmatic reality––the reality of the Orient––that he could never have imagined. Giovanni will be obliged to doubt everything he knows, everything he believes in, all the knowledge he’s acquired during a long life devoted to study. Pushed by a profound inner agitation, he will go beyond all known frontiers, discovering ever more haunting landscapes, never looking back or retreating, in search of the greatest and most extraordinary marvel the lands of the Orient conceal, an unequalled marvel that he would never have believed possible: the City of God. 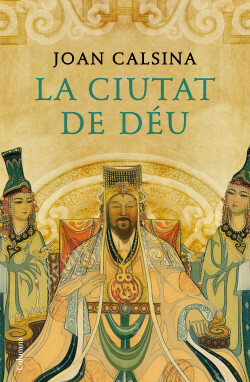 A chronicle about the fascinating and unknown Mongol people from the perspective of a medieval friar.